FAQ: How can I export images recorded with VisiSens for further evaluation or for making a movie? Load and process a series of images (for a detailed description, please refer to the "VisiSens AnalytiCal 1Software" instruction manual). 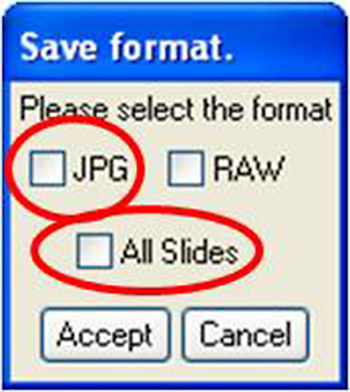 When you have loaded the image series, press the Save button. 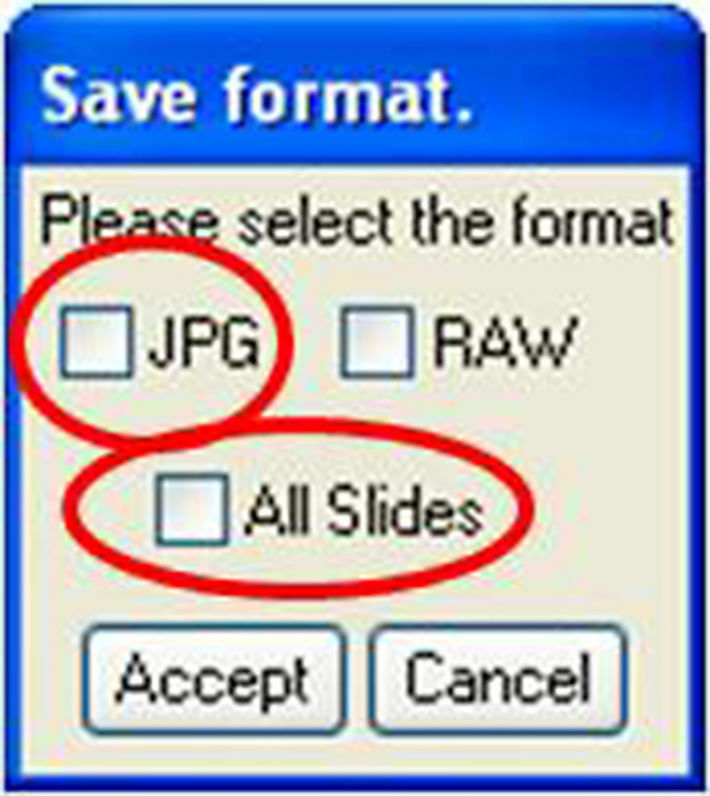 In the Save format dialog that opens you have to check JPG and All Slides to save all images in a user defined folder. By clicking Accept each image of the stack is saved in JPG format with auto increment counter. These JPGs may be used in any video maker software (e. g. Windows Live Movie Maker, or Image J).